This morning I have a lovely little number to show you using some more of the Brusho backgrounds I made previously... I made a few of them! haha! 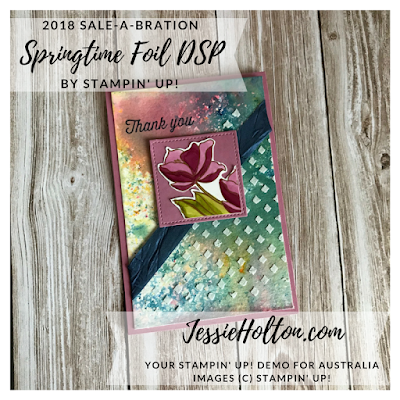 I have used a Sweet Sugarplum cardstock base with a layer of the watercolor cardstock which I've spritzed with water, sprinkled with the different Brusho colours & then spritzed again. I have let the colours mix naturally & you can see a perfect match for the sweet sugarplum coming through where the blue, red & yellow have mixed. Then I've smeared Embossing Paste over the top with the diamond mask from the Pattern Party Decorative Masks. I have also added a strip of Night of Navy Crinkle Ribbon. 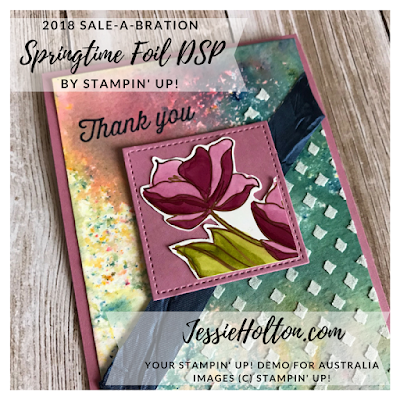 I have coloured one of the flowers from the Springtime Foil Designer Series Paper (DSP) with my Blends in Light & Dark Rich Razzleberry & Light & Dark Old Olive. And I have used the Stitched Shaped Dies to cut a square of Sweet Sugarplum cardstock for behind the flower. I have stamped the sentiment from the Eclectic Expressions stamp set in Night of Navy onto the Brusho background. I have stamped the inside to match in Sweet Sugarplum & Night of Navy & added a fussy cut flower to the corner. 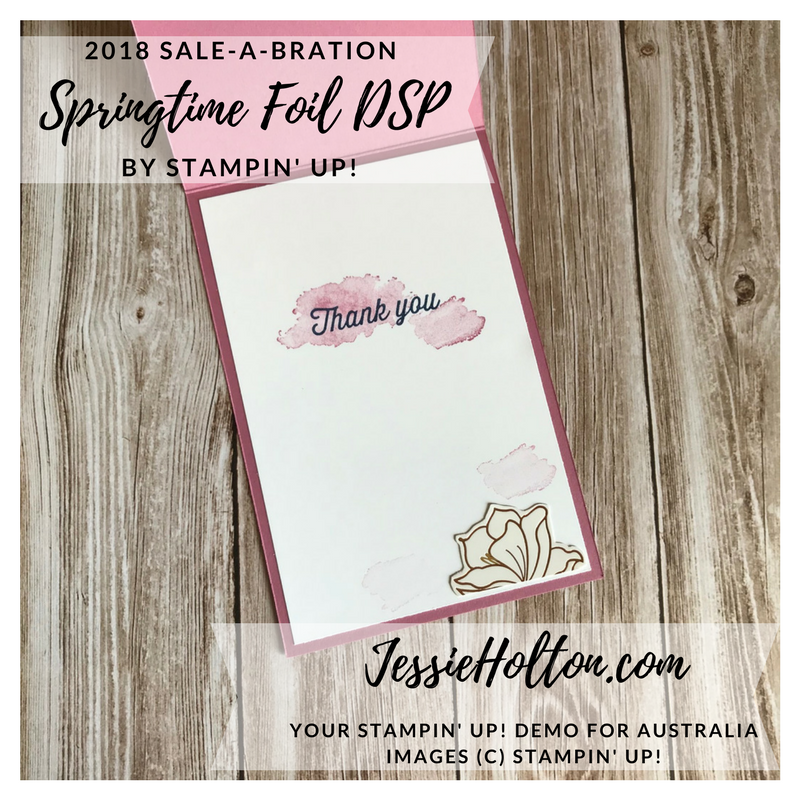 The images & sentiment are from the Eclectic Expressions stamp set. These are some of the products I have used in today's cards. Click the image to go to my online shop. 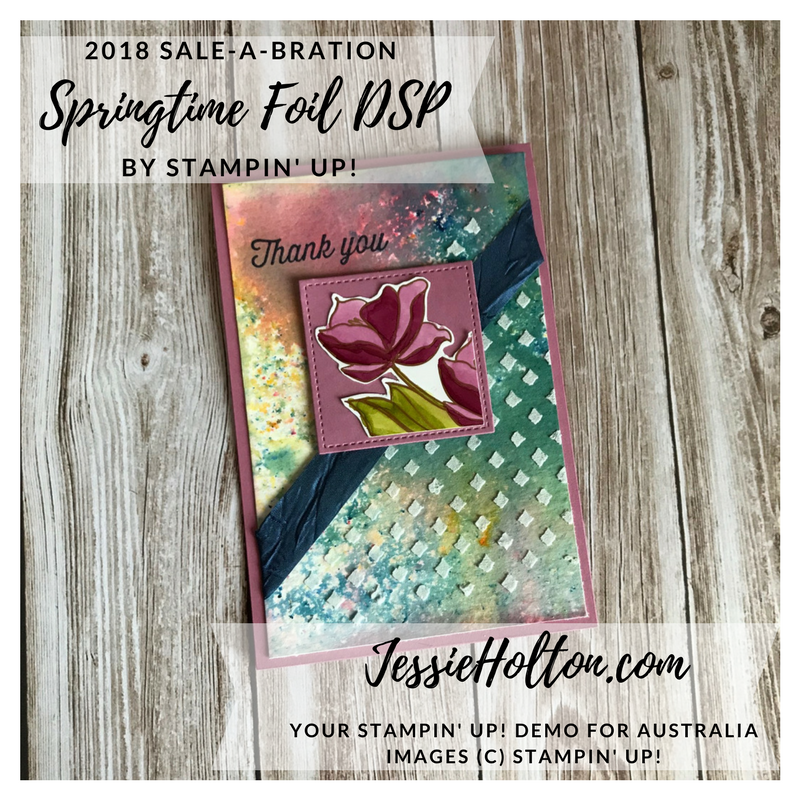 Remember to use my March Hostess Code 6FK2YF3X to go in my monthly customer draw & shop in $90 increments to get your Sale-A-Bration freebies!